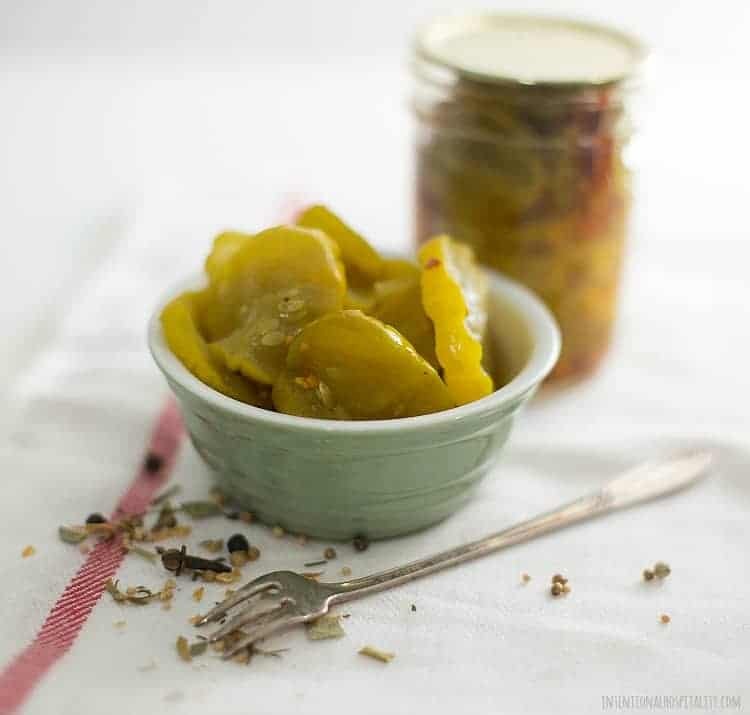 Canning your own Spicy Bread and Butter Pickles is a great way to add a little summer to your menus all year long. These canned pickles are sweet with a little heat. Place cucumbers and onions in a large glass or stainless steel bowl. Mix well with salt. Cover with cold water and ice. Allow to set on counter for 2 hours. When the 2 hours are up, drain and rinse the cucumbers and onions well. In an 8 quart pan, combine vinegar, sugar pickling spice and crushed red peppers. Bring back to a boil stirring as needed so all vegetables are coated in pickling liquid. Ladle vegetables and juice into sterilized jars, being sure to get one or two serrano peppers in each jar. Wipe rim, top with primed lids and screw on tops.